Home » Blog » seo » Why is content such an important part of SEO? SEO and content are often used interchangeably, or at the very least as a relationship that is misunderstood. Content marketing is a synergistic diode of content and SEO. Let’s go over some of the basics. While keyword strings are the fuel, you need a vehicle. And content is your battleship. Even if you master the technical aspect of SEO, your overall content marketing strategy could still fall short. Quality is paramount; without it, your content (and brand) will lack relevance and value to your readers. The unspoken aspect of content is Google looks for works in particular places in your post in order to determine its ranking; having SEO-friendly formatting goes a long way to making sure your content stands apart from the rest. So the question you should be asking is: How can wiring SEO-friendly content? Research, research, research. Having a list of keywords and phrases allows you to have a good sense of both what readers are looking for and the kinds of questions you should be answering without your content. High-quality content or nothing at all. Focus on writing content that not only optimizes your post or webpage, but is also something readers and visitors want to share with others. Keyword placement. Once the copy is in place, not it is time to audit and place your keywords throughout the post. Be judicious in their use. Promote. The greatest content in the world still needs an audience. You need to share, and share often. Google prioritizes posts and pages that are shared more infrequently. We’ve broached some tips and tricks, but what about the point of the post. Well, here we go. SEO is about using keywords and keyword strings in a strategic manner throughout a post or webpage; in order to achieve this, you need quality content that answers questions or offers insight with those keywords in mind. Without content, those keywords are just disconnected phrases without a narrative. If you want people to share your SEO-driven content, which is the point after all, then you need it to be quality content. So again, without the content, the SEO strategy is meaningless. Deliver value and your readers will reward you by sharing the content. Any backlink strategy is informed by the content itself; so, once more, content is the vehicle that allows you to achieve your goals. The take-home message? 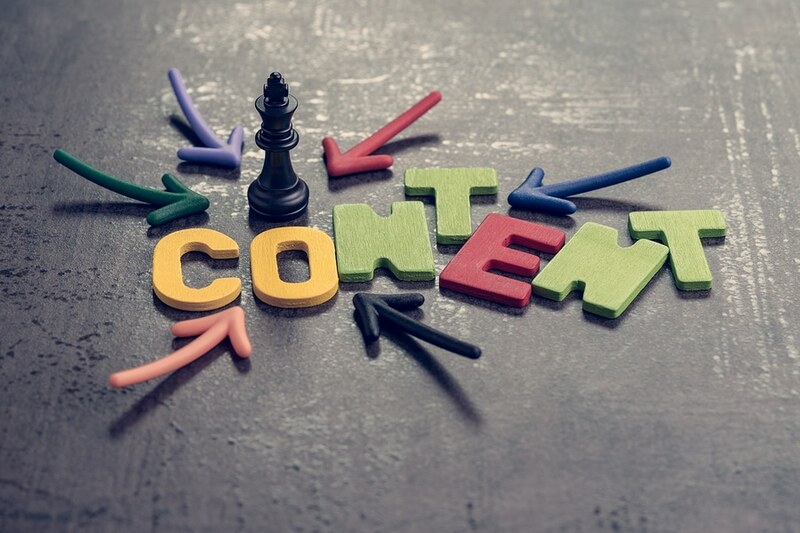 Content is a critical component of any marketing strategy. Research keywords, write quality content, and share it far and wide.